Just as the sporting world endures another hot-air session a.k.a. 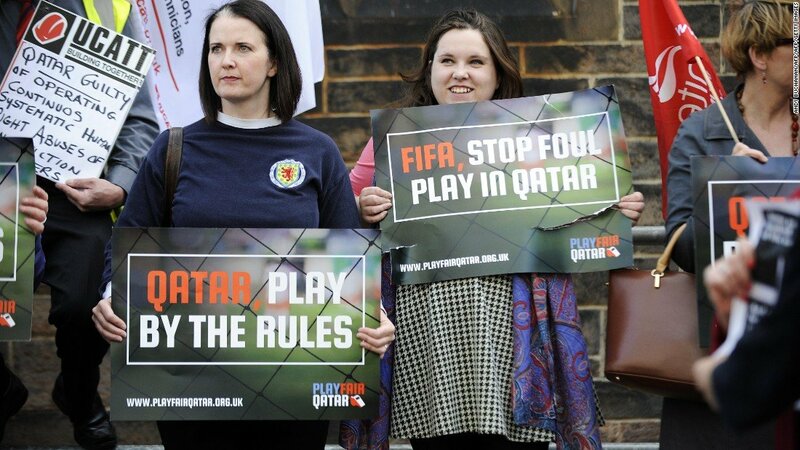 an international conference on match-fixing sponsored by the Qatar 2022 World Cup Committee, out comes a new report on labour conditions in Qatar and the building of the World Cup infrastructure and stadiums. The report, by the external company charged by FIFA to monitor workers’ conditions, makes for sobering reading. It seems – no surprise – that despite all the words, all the clichés, all the high-level negotiations and conferences, there has been little fundamental improvement for the poor workers drafted in from Nepal, the Philippines and Bangladesh to work in the hell-hole of Qatar World Cup infrastructure and stadium building. Here are a few numbers from the report: the average working week for a labourer is 48 hours; the minimum wage is $206 U.S. dollars a month ($51.50 a week, or $1.07 an hour), but many of the labourers have worked far more hours. In fact, one poor fellow worked 147 days in a row. Lump in the other controversies that the Qataris are connected to: the alleged secret payments by their senior football executive – Mohammed bin Hammam – to acquire the rights to host the 2022 World Cup, the expensive, failed lawsuit against the German football executive who declared that the Qataris were linked to corruption; the issue of UEFA’s Financial Fair Play being flouted by Qatari-backed European teams; the police investigations involving influential Qatari princes with key FIFA figures; and, of course, the Donald Trump-endorsed, Saudi-led, economic blockade of the country. Add all that in and generally, Qatar’s international reputation is somewhere below pond-scum. This is a situation that the Qataris are desperate to distract the media’s attention from because goes directly against Qatar’s goal of using the “soft power” of sport to help the security of their country. Qatar cannot possibly defend itself militarily against the Saudis or Iranians, so its ambition is to use sport to make itself popular around the world – thus making an invasion of the country more difficult. But because of their missteps, the Qataris are actually less popular now than they were at the beginning of their campaign. Consequently, they have, with the help of some expensive international consultants, established various new agencies purporting to fight for integrity in the sports world. This week there is a conference in London against match-fixing. It is yet another event where expensive, mostly know-nothing speakers will lecture the mostly deluded, desperate and clueless of the match-fixing world. There are a few notable exceptions to this broadly-painted portrayal but, really – delegates and speakers – you should not be there. 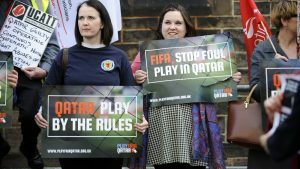 There are two problems with the Qataris sponsoring “sports integrity”. The first problem is that these events are designed to distract attention rather than come up with real solutions. They completely miss all the various commercial agendas that are distracting from fighting sports corruption. There are a couple of paradigms that get promoted at these events. One, is the idea that fixing has been pushed out of the top divisions and leagues by vigilant officials helped by sports gambling monitoring companies. The second is the paradigm of fixing promoted at these events is that innocent/duped players are manipulated/threatened by mobsters to corrupt the sport, while the club owners and league officials stand by sadly wringing their hands. Ha, ha, ha, ha, ha, ha, ha, ha, ha, ha, ha, ha, ha, ha, ha, ha, ha, ha, ha, ha, ha, ha, ha, ha, ha, ha, ha, ha, ha, ha, ha, ha, ha, ha, ha, ha, ha, ha, ha, ha, ha, ha, ha, ha, ha, ha, ha, ha, ha, ha, ha, ha, ha, ha, ha, ha, ha, ha, ha, ha, ha, ha, ha, ha, ha, ha, ha, ha, ha, ha, ha, ha, ha, ha, ha, ha! 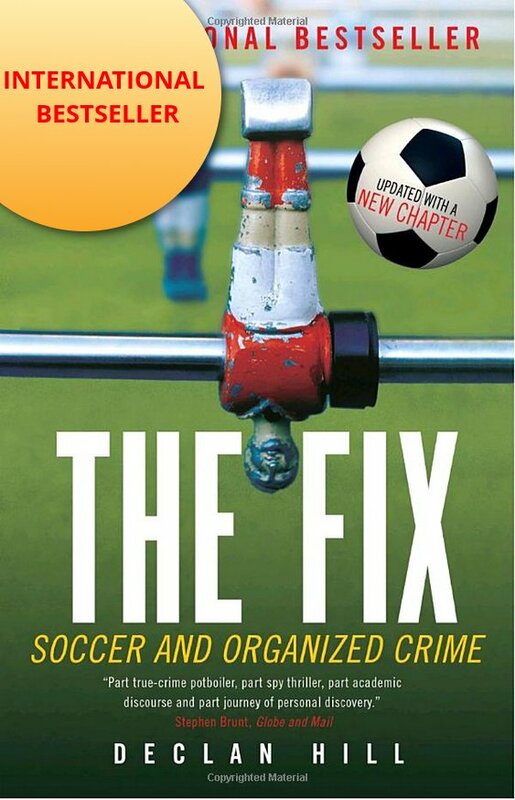 Pause for this author, and other, real match-fixing investigators, to fall about laughing, stand up, wipe our eyes, say, ‘Oh dear, oh dear, oh dear.’ Chuckle. Shake head. Look. The sports world has largely institutionalised match-fixing in the same way that they institutionalised doping. It is business as usual covered with a patina of tough-sounding clichés at these no-action conferences. No realistic solutions or even discussions come out of these Qatari-sponsored events. Those who are not there point to the real problem. Among the advertised keynote speakers, there are no players, athletes or coaches i.e. no-one who can discuss the real issues. There are no serious investigators i.e. people who have actually investigated and helped convict match-fixers. Why not? 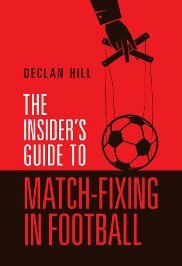 Again, because they may talk about the real reasons match-fixing has spread like a plague across international football. Reasons such as gambling addiction, coaches/players not getting paid on time, badly-designed tournaments and corrupt sports officials. I recently travelled across Europe speaking to a wide-range of police investigators, sports gambling monitors (who do not get paid by the leagues), gamblers, frustrated insiders and match-fixers themselves. The situation on the ground is that fixing is – in some leagues – a part of the system. The leagues know it. The club owners take part in it. The players and coaches are secondary to the issue. They get ordered to fix games and they do it regardless of their personal wishes. However, the second reason the Qataris should pull out of the “sports integrity” industry is that it is a waste of Qatar’s money. Here is a number that puts all these scandals, controversies, consultants’ fees and expensive conferences into the proper context: U.S. $824,000. This is the amount, mentioned in the report on the Qatar labour situation, that was reimbursed to ten percent of their workforce for the illegal ‘recruitment fees’ charged them by the contractors’ agents who got them their jobs. 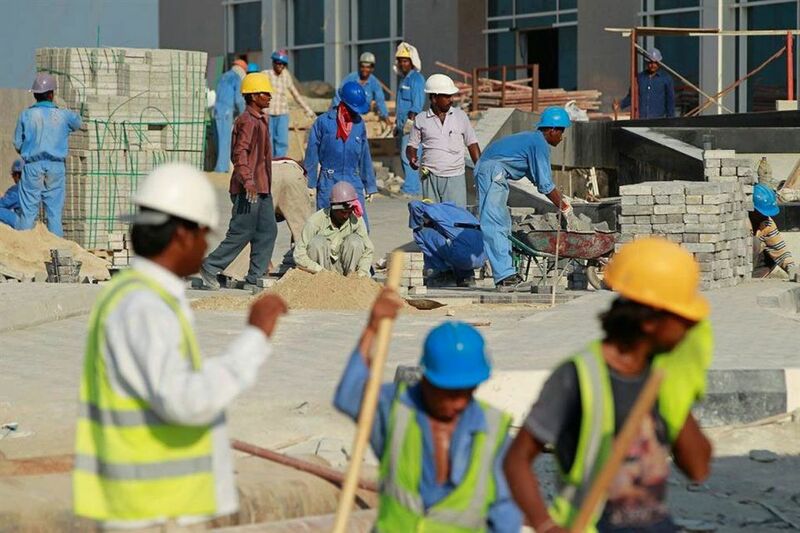 Fair play to the Qatar government: they mandated some of these contractors to return this money to the workers. To put this number into the proper context: two months ago in a Brooklyn court room, a senior football executive testified that the Qataris had paid a bribe of $10 million to Julio Grondona, the Argentinean football executive, for his vote and support in their winning of the rights to host the World Cup in 2022. The executive claimed that several months after the vote, he had witnessed a massive argument in the hallways of a FIFA conference. Grondona, allegedly, confronted the Qataris saying his price was in fact $70 million and they should pay up. It actually makes you feel sorry for the poor Qataris. Not since Rasputin persuaded Tsar Nicholas II that the only way to stop his son’s haemophilia was for Rasputin to keep shagging the Tsarina, has there been a worse case of outside consultants deluding their clients. Look, lads from Qatar (because it is all men) – stop with all the expensive fees to the media consultancy companies, the salaries of foreign executives and all the machinations to distract from the controversies in Qatar. Spend that money on actually improving the workers’ conditions and you could make yourself popular, increase your soft-power security and save money! If you paid all the contractors’ fees for the other ninety percent of your workforce, that would cost about $7.5 million, or $2.5 million less then the alleged Grondona pay-off. Throw in some better working conditions, schools, medical clinics in Qatar for the workers; throw in some other schools and medical clinics in the workers’ home countries and what would that cost? $250 million? Or the cost of Neymar’s transfer from Barcelona to Qatari-owned, Paris Saint-Germain. Look, lads from Qatar – just do the job, it will cost you far less than not doing it. A superb piece by Anna Santos in www.rappler.com supported by the Pulitzer Center on Crisis Reporting. Spot on. Conferences to meet, drink and eat. They go nowhere, never. Funnily enough I was not invited this time. I would have relished speaking about the real operatives of match-fixing. Patina will not solve a problem which is long gone. The fixing culture for any reason, an ever present problem, in some leagues, is the background which has made the situation even easier for fixers and people in the sport to thrive. Players and officials chase fixers to jump on the bandwagon. Some of them go it alone. Stop trying to identify the cause. The rot is within in a very big way. It has become a way of life. The only way is to stop leagues. And even then the betting companies will find a solution. Unless law enforcers clamp down in a big way, it is difficult, probably impossible. The subsequent long process of investigation will only allow the fixing to carry on. Too many holes to plug, with no resources and real solutions. Not everyone believes the predicament that we are in.